Please note that KJMS will be closed from April 27 through May 6, 2019 due to Japanese holidays. All papers submitted during this period will be processed on or after Tuesday, May 7. The Journal is open to original articles, short communications and case reports in all branches of medical sciences from authors throughout the world. This Journal is a LinkOut journal, that is, our full texts (2001-) can be accessed through icon from the Abstract in PubMed. 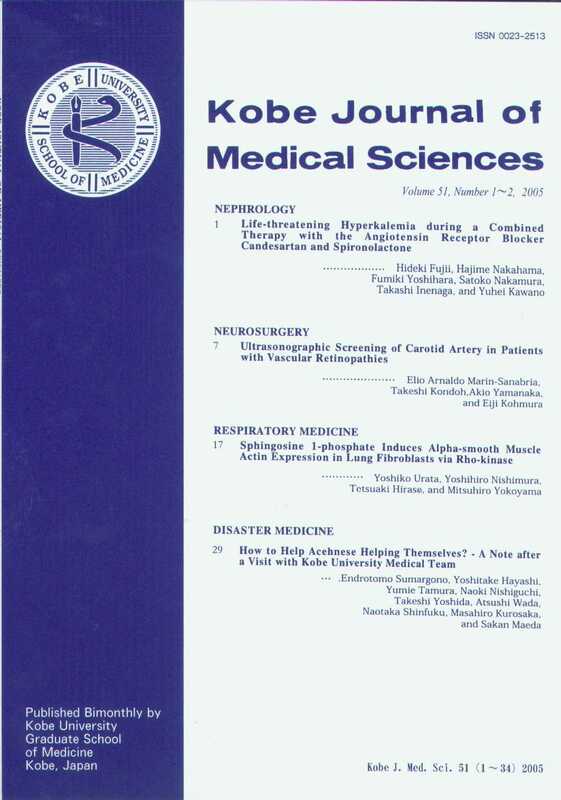 Papers should be submitted to the Kobe Journal of Medical Sciences Editorial Office. For E-mail submission procedure, please see Instructions to Authors. 7-5-1, Kusunoki-cho, Chuo-ku, Kobe 650-0017, JAPAN.